For many people, the kitchen is the focal point of a home. Family and friends often gather in the kitchen to create memories along with good food. 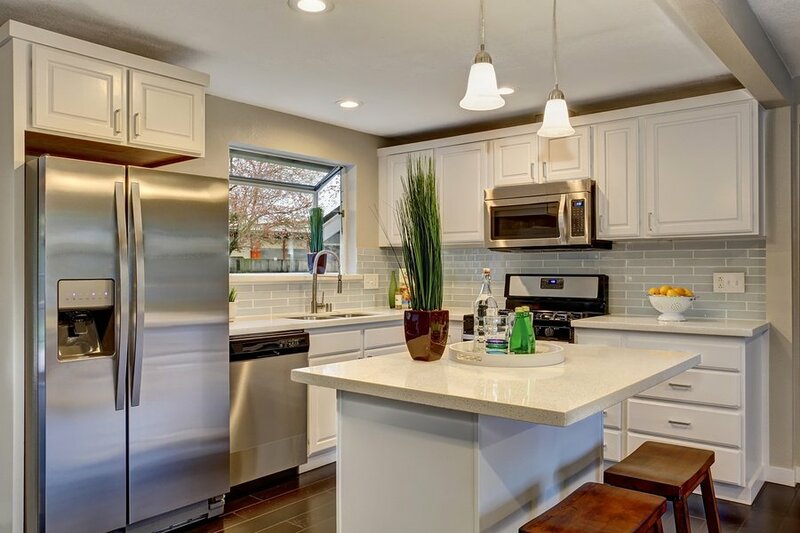 Boost your home's resale value with these helpful tips to update your kitchen for maximum buyer appeal. Vivid color palettes can make a kitchen look dated or inspire unpleasant reactions in buyers. Neutral colors such as beige, gray and white are timeless and provide a great backdrop for splashes of color with accessories. Avoid all-white decor as that can come across as cold and sterile. As lifestyles have become more casual, people have embraced the idea of an open floor plan where the kitchen blends into the dining room or family room. This layout offers a light, airy feel that makes the space feel larger and facilitates conversation. After a long run at the top, granite countertops have been supplanted by engineered quartz, which is a composite of quartz and resin. While average price points of the two materials are similar, engineered quartz has greater durability, making it a preferable choice for high-use areas like kitchen countertops. Storage is always a top draw in a home, and kitchen storage needs to be attractive as well as functional. According to real estate website Zillow, homes with "Shaker cabinets" in the listings sold for almost 10 percent above expected prices. Are your current cabinets still in good shape? Simple tweaks such as a new finish and stylish hardware can make a huge difference. At one time backsplashes were more or less an afterthought, but today they're seen as an essential way to add visual appeal. Designer backsplashes are available in practical, low-maintenance materials with a wide variety of colors and styles. Natural light is always an appealing feature. Window shades are an ideal solution that let light in while filtering out heat, glare and damaging UV rays. Unlike generic, old-school shades, today's models are stylish as well as functional.